When crane accidents accounted for the highest incidence of worker fatalities and serious injuries in construction, the industry asked OSHA to revise its forty year-old standards, which no longer aligned with modern crane technologies and work practices. 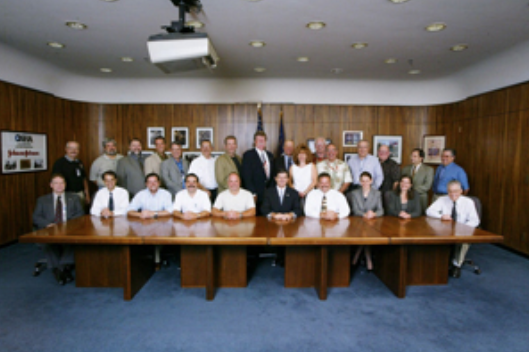 The Cranes and Derricks Negotiation Rulemaking Advisory Committee (C-DAC) had 23 members, including representatives of the U.S. federal government, crane manufacturers, suppliers, lessors, maintenance companies, employers, unions and labor organizations, crane operators, training and operator testing organizations, power line owners, billboard installers, and the insurance industry. Podziba Policy Mediation mediated negotiations that spanned one year and included 11 multi-day meetings. C-DAC members identified and addressed key hazards inherent in the use of cranes in construction and developed innovative solutions for issues including crane assembly and disassembly, preventing contact with power lines, and operator certification. Throughout their deliberations, C-DAC members integrated their knowledge of crane safety and talked through the complexities of seemingly disparate opinions to develop effective strategies to reduce worker hazards. C-DAC reached a consensus agreement on completely re-written Worker Safety Standards for the Use of Cranes and Derricks in Construction. It affects more than 250,000 worksites and approximately 4.8 million workers annually. The new standards are expected to significantly reduce fatalities and serious injuries.